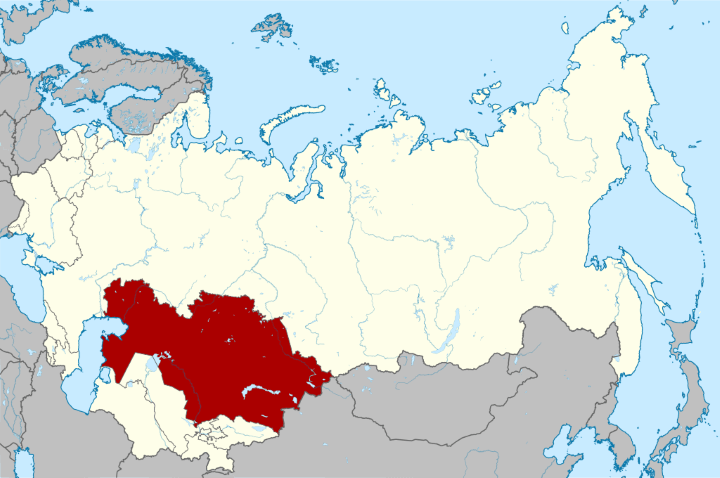 The map above is a map of the Kazakh SSR (Soviet Socialist Republic), which existed between December 5, 1936 and December 16, 1991 and by a quirk of history was the last of the Republics to leave the Soviet Union. However, the Soviet Union itself was not formally disbanded until December 26, 1991, which means for the last 10 days of its existence it was a country without any territory. Below is a very brief timeline of when each republic left the USSR. We , Lithuanians , are proud being the icebreaker in the disintegration of the USSR.